Wherein the Real Parties In Interest (ACCUSED 1-6) stipulated and agreed to perform and accept your offer of "Charges/Warrants/Claim" (demand/presentment/etc.) 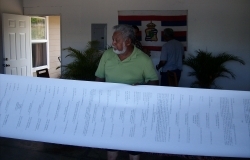 this Demand for a Bill of Particulars was sent to you by US Mail Thursday August 28, 2008 along with a courtesy copy to THE DISTRICT COURT FOR THE FIRST CIRCUIT HONOLULU DIVISION STATE OF HAWAII All Clerks Office by Patrick McCormick. 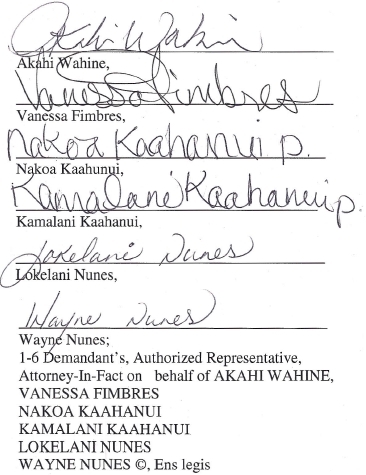 You failed to perform after receiving these presentments from Her Highness Akahi Wahine and Vanessa Fimbres, Nakoa Kaahunui, Kamalani Kaahanui, Lokelani Nunes and Wayne Nunes the undersigned Real Parties In Interest (ACCUSED 1-6) and you failed to perform by providing the requested and necessary response or answers to our questions in this Demand of Bill of Particulars. Mr. Mark Miyahira this demand for evidence is necessary, imperative and material in the preparation for any Judicial Review, to challenge the jurisdiction of the court or for tort in this matter for redress of grievance, if required. 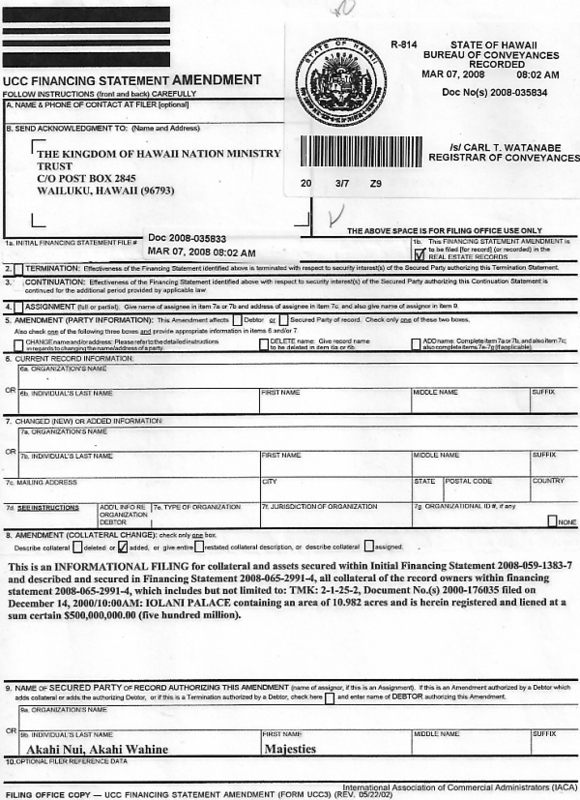 You and or your office and or the STATE OF HAW All have failed or neglected to bring the requested evidence forth after receiving the Demand for Bill Of Particulars from the undersigned's per your acceptance thereof. 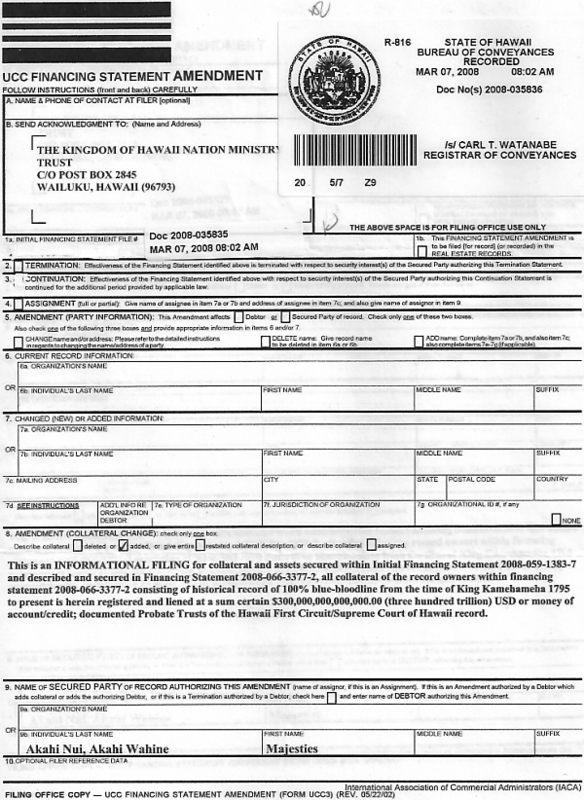 This Demand is made so that Demandants can determine the Nature and Cause of all actions pertaining to this Case. The Demandants cannot adequately prepare or conduct any proper defense, relief or otherwise or remedy without this information. If either the Plaintiff or this (foreign) Court moves forwa,rd without Demandants getting the answers herein demanded, Demandants unalienable rights will be violated resulting in irreparable damage. 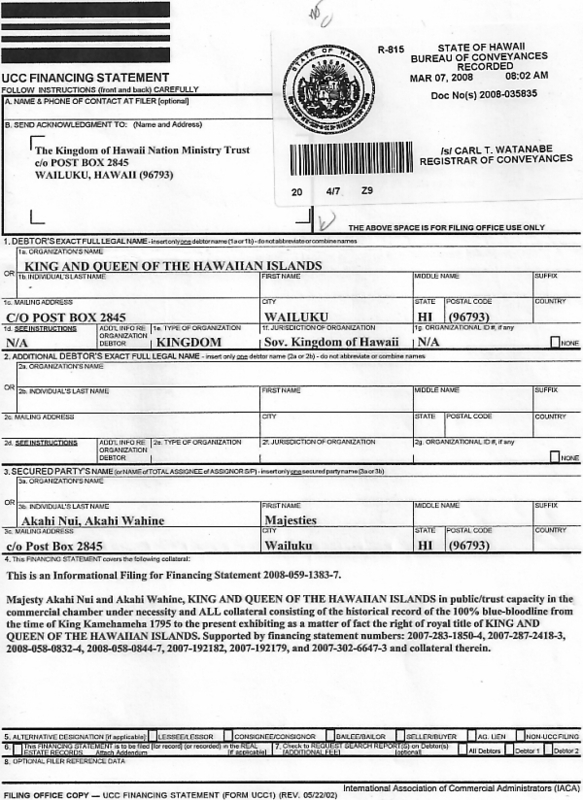 His Majesty King Akahi Nui, The King of the Hawaiian Islands herein DEMANDS this Court, THE DISTRICT COURT FOR THE FIRST CIRCUIT HONOLULU DIVISION STATE OF HAWAII de-facto, to abate and dismiss all claims, charges or otherwise in the above instant matter ab initio, under necessity, in the interest of justice and for lack of authority and jurisdiction.